This week I'm really excited to have my friend, Elizabeth, here from Don't Call Me Betsy. We have been email buddies for awhile and we finally got to meet each other in May while in Kansas City. We even had the chance to have breakfast together. Elizabeth will confirm that often my emails include the sentence, "How do you get so much accomplished???" She has a 4-year-old and totally puts me to shame with all the amazing things I see on her design wall. Elizabeth, how did you choose the name for your blog? 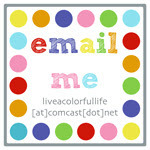 When I decided to start blogging, I spent a good week or so brainstorming about a name for my blog. I had previously blogged for a few years about food under the name Type A Mommy (typeamommyblog.blogspot.com). If you read my quilting blog, you know that I definitely have a Type A kind of personality, and that's where that name came from initially. The first quilt blog name I thought about was Type A Quilter, but I was coming from a very different place with quilting than I was with food. I've cooked and baked since I was a kid, so I felt pretty confident about my food skills, and that blog really shares that. It shares my recipes and techniques, and with my quilt blog, I wasn't really sure what I wanted my quilting blog to be yet, other than a place where I shared what I was working on, as a online quilty diary of sorts. Don't Call Me Betsy came to me when I started to think about the journey I've had with my own name, Elizabeth. When I was a baby, my mother nicknamed me Betsy. My older sister lobbied for calling me Beth, but my mother was insistent that I was a Betsy. Still is, actually, and she is one of the few people in the world who still calls me Betsy. I think I was in either kindergarten or first grade when my teacher told me that I wasn't a Betsy, that the name didn't fit me. I don't think my mother ever forgave her for it! So, for most of my schooling years, I went by Liz. I still didn't love the name, but it was better than Betsy. It wasn't until college that I started to go by Elizabeth. My husband mostly calls me Liz, since he's known me that long, but my friends, former business colleagues and so forth all call me Elizabeth at this point, and that's the name that I feel fits me best. 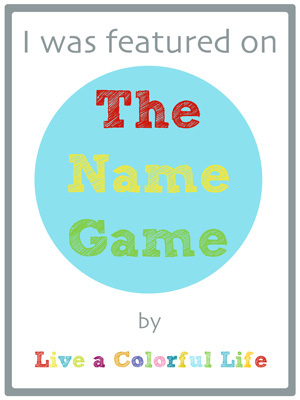 I felt like my blog name could maybe in a fun way tell the story of the journey behind my name, and that's where Don't Call Me Betsy came from. The funny thing is that to this day, when I meet people who know my blog, they tend to call me Betsy! Were there other names you considered, and can you share any of them with us? Yes, definitely, I had a list. I'm a big-time listmaker. 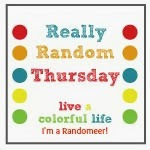 The only other name that I can recall at this point other than Type A Quilter is The Novice Quilter, but I ultimately rejected that one after realizing that I wouldn't be a novice forever, and that I wanted my blog name to fit for an indefinite time period. Now that you are recognized by Don't Call Me Betsy, are you happy with it or do you wish you could change it to something else? From Elizabeth series, "Christmas in July"
Yes, I am happy with the name. It tells people more about me in one simple phrase than I can convey in a paragraph. The funny thing is that when I meet people who know my blog, they tend to call me Betsy! It makes me laugh or smile, rather than get irritated, so it's all good. I think it's a good name, it fits me, and I find that I get a lot of email from other Elizabeths who have once been called Betsy, which is always fun to read about. Elizabeth, thank you so very much for playing the Name Game this week. If you haven't been to Elizabeth's blog before, please head over and say hi. And then plan on spending a lot of time looking around. I can almost guarantee you too will be saying "How do you get so much accomplished???" It really is amazing how much she accomplishes, and how beautiful her projects are! Fun to hear a bit more about Elizabeth! Thanks for another great post. I love reading the behind the names of people's blog names. How do you decide who to feature? I am a follower of hers and I agree....how does she get so much BEAUTIFUL work done?????? She is one of my inspirations. Nice post. Another fabulous Name Game feature! Great post! Love seeing the wonderful variety of beautiful quilts. Such a fun post. I figured I wasn't the only one wondering how she gets so much done! Elizabeth is a true inspiration and has such great taste. I may have already told you this awhile back but I too hate the nickname that goes with my name. In high school after a move I decided to shorten Angela to Andee in an effort to avoid being called Angi. It stuck though I still get people who can't quite get it. I actually don't even respond to Angi..it isn't my name! LOL. I love the name Angela but people feel the need to shorten it. I ALWAYS greet people with the name they tell me is theirs and don't assign a nick name to them! Love Elizabeth! Thanks for featuring her! Very fun. It's interesting how sensitive people are to what others call them. I only let a few people call me Stephie, for example. :-) My dad has a colleague whose name was Vern. Then, one day, he came to the office and said he'd like to be called Jay. In fact, Jay was his name. How he ever ended up as Vern is beyond me and I still don't really understand the story! LOL. Very fun! I'm so glad she didn't stick with 'The Novice' cuz that totally wouldn't fit! I have followed her for quite some time and love her blog. WIP Wednesday: Psssst...I'm over here!